Red Wine, Green Tea and Dark Chocolate: Attention-deficit hyperactivity disorder can be downright dangerous. Attention-deficit hyperactivity disorder can be downright dangerous. Having a diagnosis of attention-deficit hyperactivity disorder increases the risk of death and reduces overall life-expectancy, a large study published in The Lancet shows. It finds that people with attention-deficit hyperactivity disorder have a more than doubled risk of premature death - and that accidents are the most common cause. The researchers, led by Søren Dalsgaard from Aarhus University in Denmark, found the relative risk of dying was much higher for women than for men with attention-deficit hyperactivity disorder. Not receiving a diagnosis until adulthood was also associated with higher risk. Antisocial disorders - which increase the risk of violence and crime. 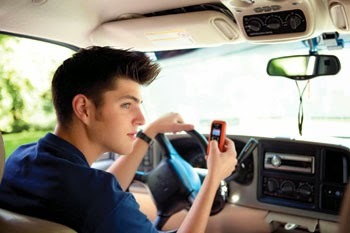 Inattention and impulsivity - increasing accidents and poor health habits. Risky behaviors - leading to health risks and accidents. ADHD alone increases risk of accidents viainattention and impulsivity - which affect driving since when treated with medication, there is better "performance in a driving simulator"
and through risky behaviors associated with increased sensation seeking.